Call us borderline alcoholics, but most events are best enjoyed with booze. Cruise ships, festivals, concerts, and sports games, they're all just a little bit better with a buzz, thanks to one or two (or eight) alcoholic beverages. However, not many of these event organizers are too thrilled about serving alcohol, helping their patrons get wasted. Maybe it's because drunk people are extremely annoying and, at times, a liability. Maybe it's because they want to make as much money as they can off the overpriced booze they're hawking ($12 for a Heineken? Pffft). For whatever reason, there are hardly any events out there that allow you to BYOB, leaving you very few options for getting your buzz on. Whether you're heading on a cruise or grooving at a music festival, what are the best ways to sneak alcohol into an event? Would you actually consider hollowing out a loaf of bread to sneak in a fifth of Fireball? Or, for the truly adventurous, are you up for making your very own treasure hunt by burying a couple handles prior to the event setup? What about buying a pair of "bar-noculars" or a set of "tampon flasks" so you can get your drink on? From the clever to the flat-out ridiculous, this list has every option you need for sneaking booze into your next event. 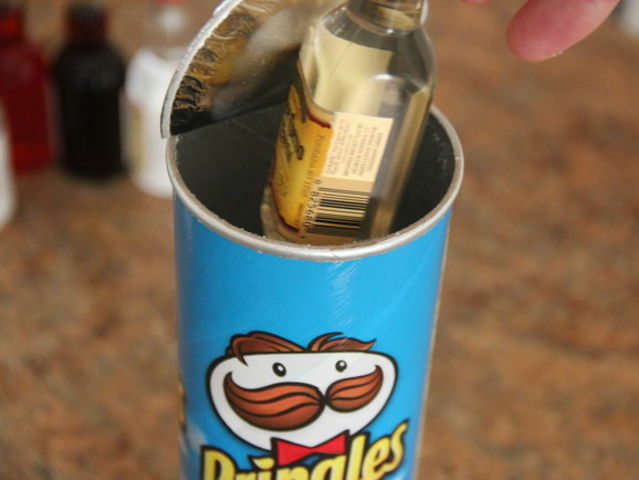 Upvote the sneaky tricks you think is the best option for getting wasted and add any of your own sneaky booze tricks that have worked for you in the past! We recommend gummy bears or jolly ranchers. Recipes here. 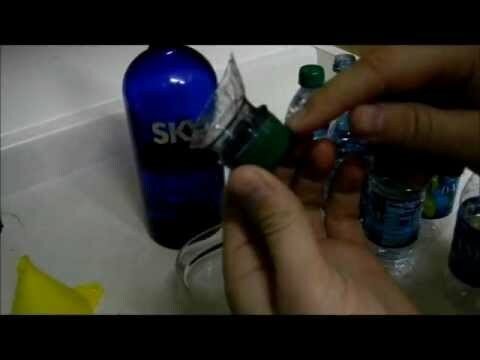 While some people may prefer gluing the cap shut, this step-by-step tutorial is a more effective way of sneaking in your booze. Get yourself a funnel, some boiling water, a pair of pliers and a screwdriver and you'll be set. Of if that sounds like too much work, buy a sweet water bottle flask here! For Sports Games, Use a "Sippin' Seat"
Most sporting events allow you to bring your own seat cushion. Why not buy one that hides your booze? Snap one up here!